The Bosch Nyon is now becoming increasingly popular and available on a number of electric bikes including off-road, mountain and tourers. Many of the new 2015 KTM bikes that are now currently up on our website have this exciting and innovative unit. Examples include the KTM Macina Race 27 GPS+ and KTM Macina Tour 10 GPS+. SCOTT have also released a Bosch Nyon ebike, called the E-Aspect 710. In light of this, we thought it fitting to provide a bit more information on this tremendous piece of kit! 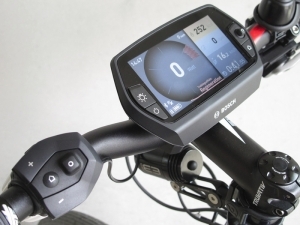 The Bosch Nyon is a handlebar mounted computer that resembles a smart phone, and is a little larger than your average everyday smartphone with a 4.3″ display that’s easy to read in all types of lighting. 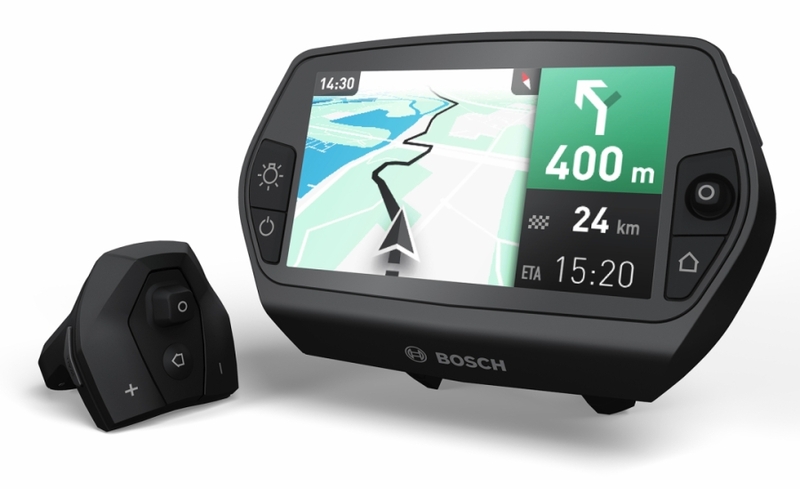 Its main features include full cycling information such as speed, trip, etc., navigation, fitness training and other smartphone features including music, Bosch’s intention is to provide many new apps, updates & functions via an online portal. Incidentally, the unit won the Red Dot Award for its design! The Nyon uses a remote control unit featuring a joystick. The navigation elements include 2D & 3D map options with bicycleoptimised route calculation based on the Wiki Open Street Map (OSM), whilst the training part of the software features a heart rate chest strap connection. With this unique feature, heart rate, pedalling cadence, cycling performance, calorie consumption and training efficiency are shown graphically on the display. You can even share your training progress via the Bosch Obline Portal, either whilst on route or in the comfort of your own home. You can also link the Nyon to your own smartphone via Bluetooth for it to receive SMS messages (texts can even be read on the Nyon, but only when the bike is stationary, for your safety) and even show calls! The screen layout can be customised to your own particular taste and preference. All in all, the Bosch Nyon is a fantastic addition for us ebikers, and represents a huge breakthrough in technology! KTM Macina Force 27 – One of the Best Value for Money Electric Bikes Ever to be Released…. ?